Beautiful 40-/+ acreage close to town. 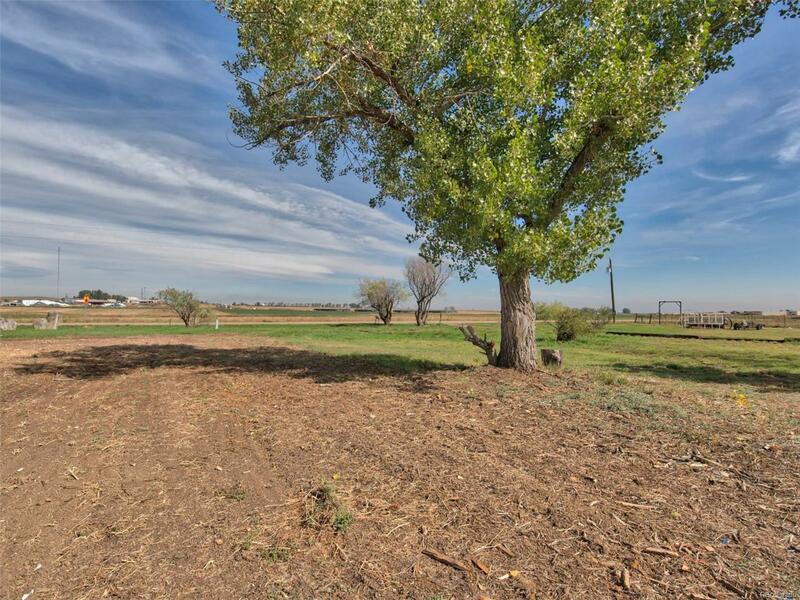 Excellent opportunity to have a livestock/farm operation w/ quick access to I-25. Build your dream home next to existing corrals & historic barns. No covenants/HOA. Located Southeast of Erie, but still unincorporated Weld county and AG zoning. Lefthand water, septic & electricity in place with 3 water shares. Mountain views, large trees with pond, prefect for hunting Ducks and Geese. Property is a producing farm growing Corn and Alfalfa. Come See!! !